In its final meeting before the summer break, City Council approved an undisclosed budget increase “for costs associated with an alternative signalling system plan” for the Metro Line LRT. Council had previously directed the City to pursue an alternative after issuing a notice of default to Thales on May 1. As a downtown resident who walks just about everywhere, the number of detours and closed sidewalks and other barriers I encounter every day is getting tiresome. I’m not the only one who feels that way either. The worst part is how inconsistent it all is. One project will maintain a sidewalk for pedestrians while others will barely even have a sign to let you know there’s no way ahead to pass safely. After initially banning smoking in parks and within 10m of a door, window, bus stop, or patio, Council backtracked and will debate the bylaw again on September 12. According to a new Royal LePage report, inventory levels for homes are at a 10-year high across Edmonton and prices have fallen. “Edmonton was an innocent bystander of the stress test,” said Edmonton Royal LePage Noralta broker Tom Shearer. Want to know what’s happening in Edmonton’s music scene? Check out the new Music Roundup from Taproot Edmonton, curated and written by Sandra Sperounes. 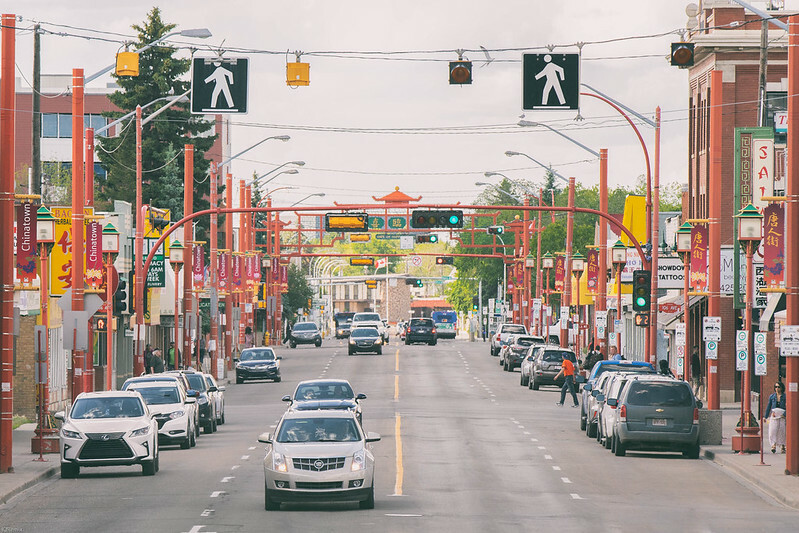 Edmonton Transit is running an online survey until July 25 to gather input on transit fares and discounts. The City is also looking for input on how far apart new liquor stores should be from existing liquor stores and parks. The online survey is open until July 23. City Council designated the Ernest W. Morehouse Residence built in 1912, and the Blue Cross Animal Hospital built in 1948, as a Municipal Historic Resources this week. Borden Natural Swimming Area is now open inside Borden Park. “Instead of salt or chlorine, water is cleaned through layers of rock, two regeneration basins teeming with plant and animal life, and the sun’s UV rays.” The $14.4 million project has been eight years in the making. Our second What the Truck?! event of the season took place on Friday, July 6 at the Edmonton Valley Zoo. Here’s a recap of the event. Save the date for our third and final eventof 2018 on Sunday, August 26 at RE/MAX Field. Head over to the Muttart Conservatory for Muttart After Dark: Adult Only Evening on Wednesday from 5pm to midnight. Friday night is Family Night. Taste of Edmonton starts on Wednesday and runs to July 29. This year you can find the event near the Federal Building plaza. The Alberta Party is hosting Pints & Politics on Thursday evening at Hudsons on Whyte. Edmonton Carnaval takes place Friday to Sunday at Dr. Wilbert McIntyre Park. Interstellar Rodeo is back for another year from Friday to Sunday at Hawrelak Park. K-Days kicks off on Friday and runs to July 29. The K-Days Parade takes place Friday at 10am. Premier Rachel Notley is hosting a pancake breakfast on Thursday morning to help launch the festival. The Alberta Craft Beer Guide is hosting the 124 St Beer Walk on Saturday. Tickets are $10 and the meeting location is Prairie Noodle Shop. GoatWorks Meet and Bleat takes place on Saturday at Rundle Park. It’s your chance to meet the goats! Edmonton 10K will wind its way across the High Level Bridge, along Saskatchewan Drive, and will end up at the Legislature on Sunday morning. The 59th annual Sourdough Raft Race takes place on Sunday at Terwillegar Park. Check out DreamUP YEG for a collection of upcoming networking and entrepreneurial events. 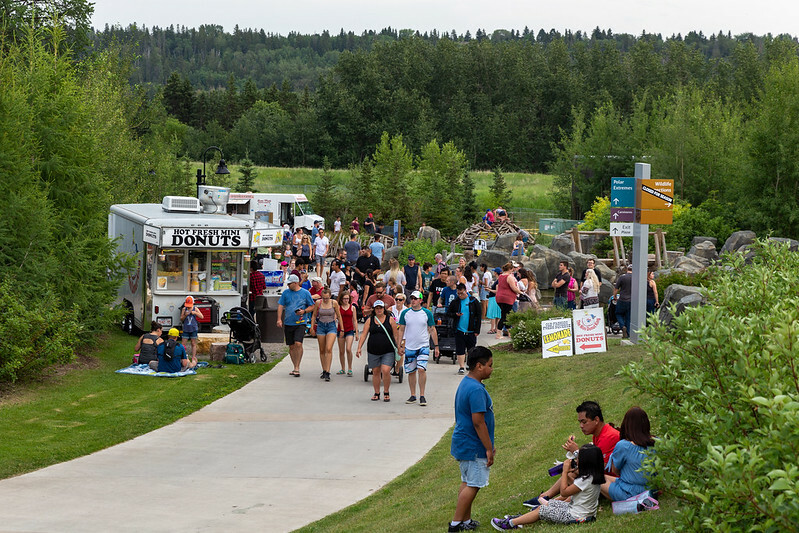 Plan your calendar with Taproot Edmonton’s 2018 guide to summer festivals and events! It includes 75+ happenings you can look forward to this summer in and around the city.